Wellington City Council are proud to announce the details of our annual Youth Forum: ENGAGE. On Friday 1 May 2009: 9.30am – 3.30pm at the council chamber at the Town Hall, Wakefield St. They would like as many young people to be a part of this forum as possible and are keen to have a diverse range of ethnic, academic, and cultural backgrounds present. If you are aged 12-24 and want to take part then all you need to do is contact Waylon (waylon.edwards@wcc.govt.nz) or Georgie (georgina.rhoades@wcc.govt.nz) in the Youth Team at Council by 5pm Thursday 23 April. They are totally keen to ensure that as many of you as possible are informed about how you can be involved and have a say on planning for your city. They can even help you get permission to get out of school for the day. Oh, and food and drinks will be provided. What more do you need? ThinkB4YouSpeak.com is an American campaign that encourages teens to think about their use of language; homophobic remarks like “that’s so gay”, while usually unintentionally offensive, can be pretty damaging. Although designed for U.S. schools, the aim of the campaign is pretty international, and the TV adverts are very funny. 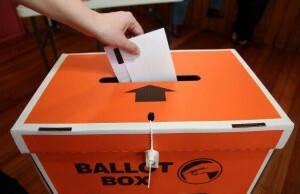 have the opportunity to have your say and give input to Government decision making. 11.01.08 | Permalink | Comments Off on Shameless! Shameless is a Canadian magazine for young women. 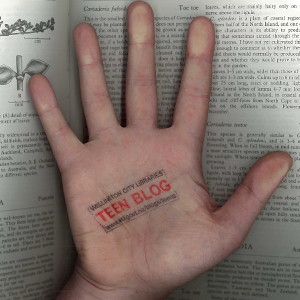 It offers a ‘fresh alternative to typical teen magazines, for girls who know there’s more to life than makeup and diet tips.’ It’s unavailable here, but luckily they have an excellent blog. And in the latest issue there is an article about the two New Zealander girls who took on a corporate giant and won – at the age of 14!